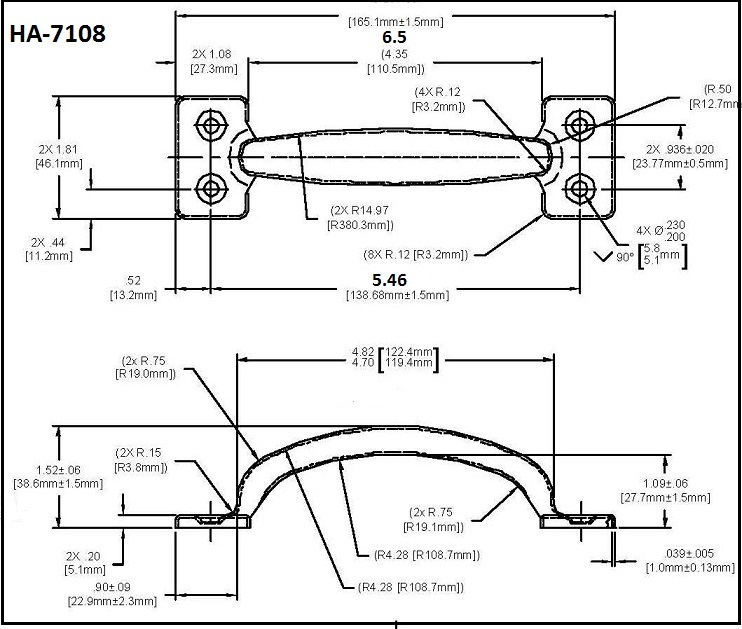 Request a quote for HA-7108 - Pull Handle today. JBF National chest handles are manufactured from the highest quality materials. They are designed and tested for ultimate reliability and durability. HA-7108 is manufactured from zinc plated steel, and has an overall length of 6.5 inches. Please see component diagram below.